This blog is brought to you by the consultants and engineers at PTS Data Center Solutions. PTS Data Center Solutions is a data center consulting, design, and engineering services firm, as well as turnkey solutions provider. Visit us at www.ptsdcs.com. PTS has both Facilities and IT experience, having integrated and tested many of the best-of-breed technologies the industry has to offer. 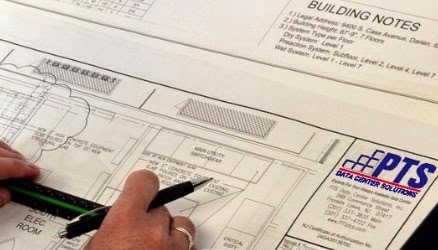 PTS specializes in all aspects of architectural as well as mechanical, electrical, and plumbing (MEP) and building services engineering for virtually every type of building or structure. PTS Data Center Solutions provides a full suite of Cloud Services using our proprietary P-POD™ approach. PTS can provide public cloud (shared), private cloud (dedicated), and hybrid cloud (mixed) servers, SAN, and desktop infrastructure. 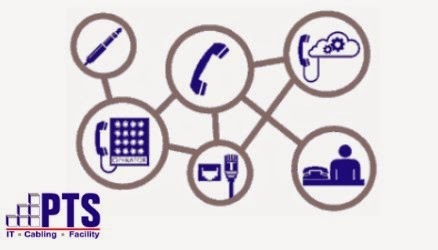 PTS provides viable premise-based and cloud-based unified communications solutions that enhance the ability to communicate rapidly and effectively. PTS and partners Asset Vue and Tuangru are hosting a panel discussion that will cover successful DCIM implementations, current trends in DCIM, and what is needed to deploy DCIM solutions successfully in the future. Free registration includes a winery tour and tasting at the Hopewell Valley Vineyards in Pennington, NJ (just outside of Princeton). Discussion to include wine tastings throughout its duration! We look forward to seeing you at this, and future PTS events. PTS has the experience with many tools in the Data Center Monitoring and Management space to develop, implement, and integrate an effective DCIM tool set. These tools will help your team proactively manage your Data Center, reducing the chances of user error and reducing downtime. PTS partner Asset Vue has introduced Real Time Physical Asset Management using Passive RFID and Bluetooth Low Energy (BLE) to effectively track physical assets inside Data Center enclosures. These are much smaller than Active tags to allow sub-component asset management and more cost-effective tags not requiring batteries nor device replacement when internal batteries expire. Additionally, RAMP DCIM software offers the most extensive agentless auto-discovery through numerous network, systems and facilities protocols. With full analytics and an open Web API, successful integrations with BMC Remedy, Future Facilities and ServiceNow are easy! Armed with these tools, you can enjoy a worry-free summer vacation! Demos on Demand presents in-depth product information videos using advanced streaming video technology. These clips assist viewers by showing them what the product is, what it does, and how it does it. Demos on Demand serves the communication needs of tech vendors and resellers across vertical industries with their video platform and content library. The video platform is comprised of a number of integrated components, including advanced player technology, delivery tools, and analytics and reporting. 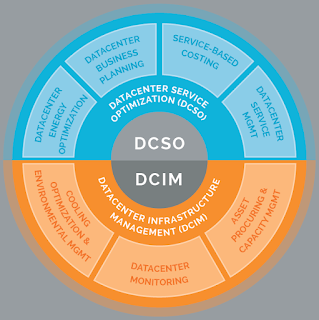 Is Single Pane of Glass Overemphasized by the Data Center Infrastructure Management Industry? I believe many seeking the "Holy Grail" of Data Center Management, a Single Pane of Glass to manage and monitor their Data Center and IT infrastructure are about as successful as the archeologists seeking the divine cup. I've seen many enterprise Data Centers come to the conclusion that they aren't ready for a Single Pane of Glass tool after sending out RFI's seeking such a tool. Is it realistic to think that an enterprise Data Center can get everything it needs to effectively monitor, manage and optimize on a Single Pane of Glass? Does this single pane then become such a crowded screen that the alerts and alarms become lost? Can a single pane be used to monitor, manage and optimize all of the assets and systems that are critical to the success of our Data Center's performance and availability? Manage your Data Center Infrastructure? Where I think we first need to focus our attention in the evolution of Data Center monitoring and management is getting all data from systems that are discovering assets, monitoring system conditions and performance into a CMDB so all of our software tools can utilize this important data. IT, Facilities and executive management then are all using the same data to work as a team to address issues and optimize the Data Center and IT infrastructure's performance. Obtaining this data and verifying that this data is correct before it is entered into a CMDB is a huge challenge and few organizations have accomplished this feat. Many have failed in attempts to gather too much of this data manually. Organizations can typically expect a 10% error rate in manual data entry due to typing and transcribing errors. Can we afford to be making decisions about the capacity, performance and availability of our Data Centers with a 10% error rate? Before we can even think about Single Pane of Glass we have to implement a CMDB strategy that includes real-time data collection and accuracy validation. I'd be interested in hearing where your organization is at the evolution of your Data Center & IT infrastructure management and whether you agree or disagree with my focal points for success. 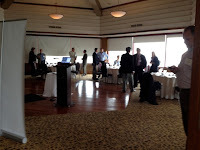 The first annual New Jersey Technology Council (NJTC) Data Center Summit was a real success. With upwards of 150 data center professionals attending, the first panel discussion focused upon Data Center Infrastructure Management (DCIM) Challenges & Opportunities. The first panel speaker, Peter Sacco, President of PTS Data Center Solutions, provided a solid overview of the DCIM sector, functional areas, and challenges faced by both manufacturers and end clients. He then put manufacturers on notice. Mr. Sacco stated there are 100+ companies producing hardware, software, and/or platforms for DCIM. The problem is that typically each company’s offering does one or two of the functional requirements well, others less well, and others not at all. Worse, little effort is made to work with one another although that is becoming less so as providers are realizing their own limitations. 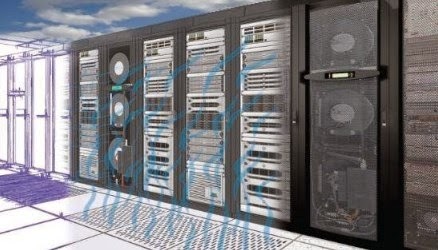 As such, what data center managers really seek for DCIM, easy access to meaningful data that seamlessly correlates to actionable plans, has yet to be realized. In support of this supposition, Pete mentioned the Uptime Institute’s 2010 paper Data Center Infrastructure Management: Consolidation, But Not Yet which notes the market for data center infrastructure management systems will grow from $500 million in 2010 to $7.5 billion by 2020. So far, this hyper growth hasn't materialized as the holy grail of DCIM has been stunted by under powered solutions or solutions that are difficult to deploy. The remainder of the DCIM panel discussion centered upon manufacturer and user challenges, new developments within the industry, and future directions as panelists compared existing solutions and viability of current deployments. Beyond the DCIM panel, a second panel discussion focused on Lessons Learned from the aftermath of Hurricane Sandy. Various disaster recovery approaches, processes, and solutions were debated by the panelists. 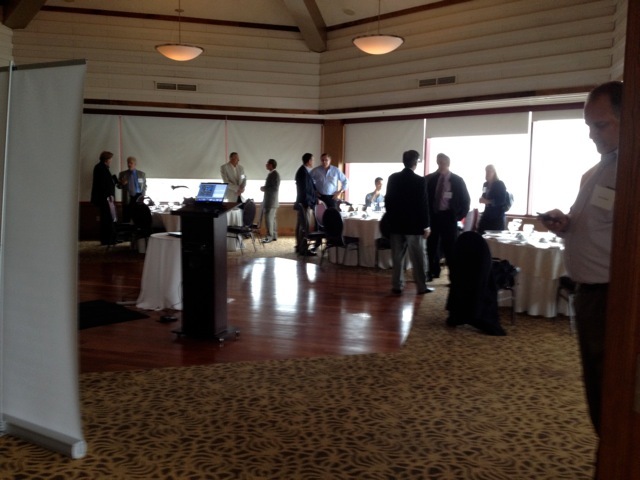 The event also included exhibits with lively discussions around many current hot topics in the data center community. To learn more about Mr. Sacco's perspectives on DCIM, contact him via email, or download Pete's latest white paper Data Center Infrastructure Management - The Updated Elephant which provides a detailed review of the market for DCIM solutions. Additional DCIM solutions are available on the PTS website. More information on the Data Center Summit is available at Data Center Knowledge. PTS Data Center Solutions will be a conference sponsor for the 2012 New Jersey Technology Council Data Center Summit. 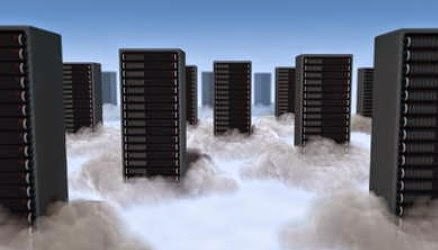 Titled Working in the Clouds, the focus of the event is on the latest trends and innovative technologies driving the emergence of Next Generation Data Centers. There will be two panel discussions and PTS Data Center Solutions Founder & President, Pete Sacco, will be a panelist for the DCIM Challenges and Opportunities panel in the morning. This panel discussion will examine the world of Data Center Infrastructure Management as a catalyst to increase energy efficiency and control underlying data center operating costs. The afternoon panel entitled Data Center Options - Deployment Challenges - Solutions brings IT leaders from different industries together to share their data center experiences from due diligence to deployment. Solutions providers will offer examples of client objectives and services provided. The goal of this panel is to help you sort through identifying your data storage needs and the options and solutions that can help you achieve maximum return. If you are battling an IT deployment or storage problem, PTS can help you through our IT Solutions Group. We have a team of engineering experts including network and systems architects, server and storage engineers, virtualization engineers, and other IT-focused technical staff. Last week's Triple Play Lunch & Learn was a resounding success. Feedback from attendees was extremely positive as presentings from PTS Data Center Solutions, RF Code, Rackwise, and No Limits Software providers viewers with a variety of thought provoking approaches to improve management of their data center systems. 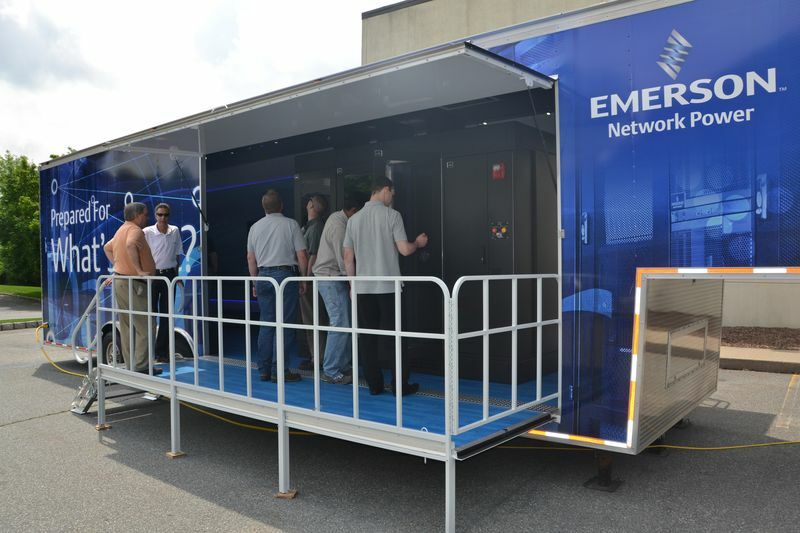 On May 16, 2012, PTS Data Center Solutions hosted a half-day open house featuring the Smart Solutions by Emerson Network Power. Attendees had the opportunity to tour the SmartRow solution, talk to PTS engineers about their emerging data center design requirements, and explore possible implementation of the solution within their own environments. In addition, conversations ranged from Emerson's powerful new DCIM solution, Trellis, to the latest design techniques used in green data center design and energy efficiency programs. To learn more, please contact PTS or call us at 201-337-3833. Still Manually Collecting Data to Make Decisions for Your Data Center? DCIM made simple: When you select open solutions that were designed to make use of and integrate with tools you already have and know, DCIM will be embraced by your organization. No Limits Software, RF Code, Rackwise & PTS Data Center Solutions present, "A Lunch & Win with DCIM Experts: A Triple Play Score for Your Data Center!" The 1st Lunch & Win seminar you must attend this year. You'll gain a clear understanding of today's DCIM field and how simple it is to get on base. There will be promotional offers to help attendees score this Triple Play with ease. Emerson Network Power today welcomed PTS Data Center Solutions and 10 additional channel partners into its Trellis™ Pilot Partner Program. The program is designed to enable this select group of Emerson Network Power partners to effectively and successfully support the Trellis data center infrastructure management (DCIM) platform. The Trellis platform is a real-time infrastructure optimization platform that enables the unified management of the data center’s IT and facilities infrastructure, allowing for unprecedented insight and action to achieve optimal data center performance. To help ensure success of the go-to-market strategy for this platform, participants in the pilot program were selected from the Emerson Network Power Innovation Partnership Program based on an intensive screening and interview process that identified channel partners with the strongest data center strategies and activities in place, experience selling complex software and solutions, and commitment to the vision and growth of DCIM. “We appreciate that Emerson Network Power saw the potential in PTS Data Center Solutions to consider us as a pilot partner for the Trellis launch,” said Pete Sacco, president of PTS Data Center Solutions. “To PTS, it was critical that Emerson Network Power saw the importance and invested in preparing us to take the industry’s most advanced and comprehensive DCIM technology to our clients." Learn more about the Trellis Pilot Partner Program. Power Management at the IT device and utility level is a hot topic today. With legislative driven by driving data center green initiatives, utility investment in energy audits for clients, and events such as the Con Edison Energy Efficiency Summit, data center managers everywhere are engaged in ways to build high-performance and energy efficient data center facilities. Famed management consultant Peter Drucker once said, "If you can't measure it, you can't manage it." That statement holds true for data center power management where managers need to be able to effectively monitor and manage power consumption within the facility at both the IT device and utility level. 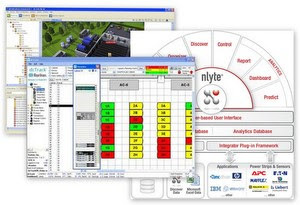 At the device level, PTS is bullish on the Rack Management Platform (RaMP) solution developed by No Limits Software. RaMP automates the build polls and trends power right from the IPMI chip and through service processors such as iLO & DRAC. It also makes recommendation to take specific action based upon analytics. At the facility level, the PowerLogic Power & Energy Monitoring System from Square D monitors and measure every level of facility power infrastructure from the utility feed, to main distribution panels, to the transformers, PDU's and circuit breakers feeding data center IT equipment. Other solutions such as Power Assure provide combined IT & Facilities power monitoring solutions. Also for consideration are other Power Monitoring solutions as well as integrated Data Center Infrastructure Management solutions from Raritan, Packet Power, nlyte Software, Emerson Network Power, RF Code, ServerTech, and Geist to name a few. To learn more about PTS' Energy Management Services & Solutions, visit us here or contact us. 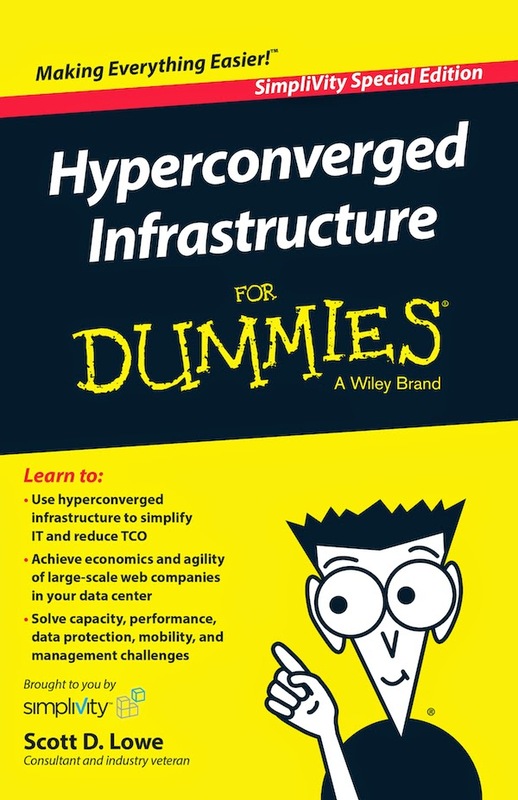 Download a free copy of Hyperconverged Infrastructure for Dummies (eBook in PDF format) by Scott D. Lowe. You may also view the associated pre-recorded webinar: Hyperconvergence for Dummies Q&A. Data Centers vs. Computer Rooms: What’s the Difference? Are You Ready to Avoid an IT Disaster?